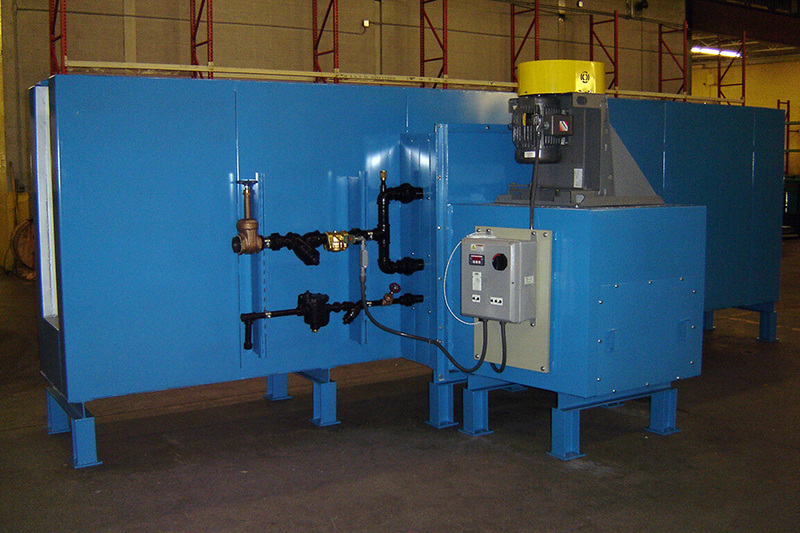 International Plating Technology Dryers are designed to be efficient and economically to operate. 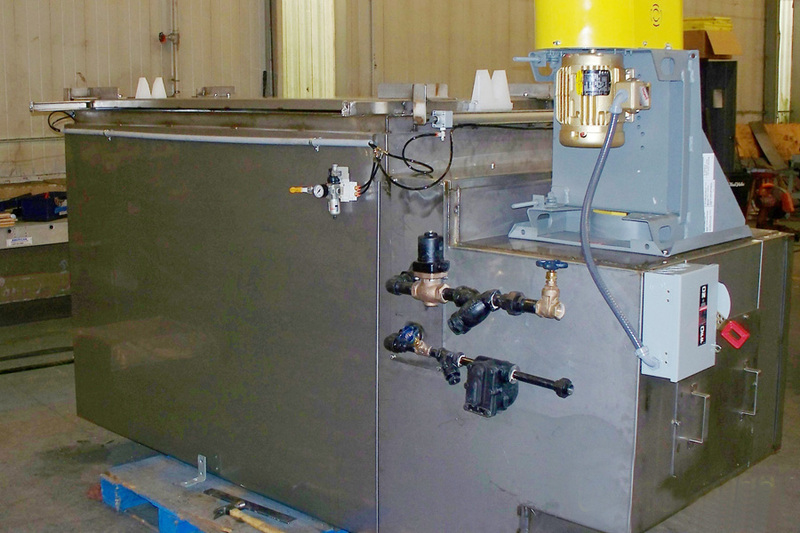 Dryers are custom designed to each customer’s own application. 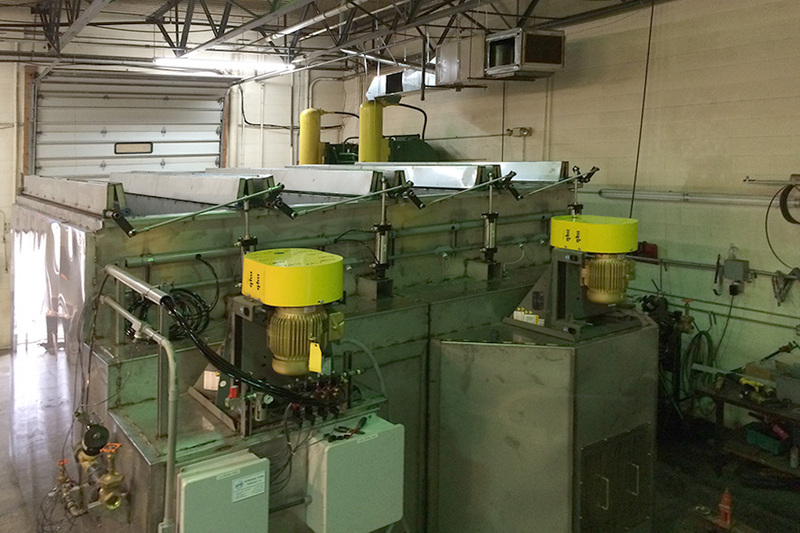 Applications include racks, baskets, as well as rotating fixtures. Dryers are heavy duty designed, double wall insulated and can be constructed of steel, stainless steel or a combination of both. Our industrial dryers are offered in two styles, open top box type used to set parts/racks in from the top and continuous tunnel type for vertical or horizontal conveyors. They are available using steam, electric heat or gas. 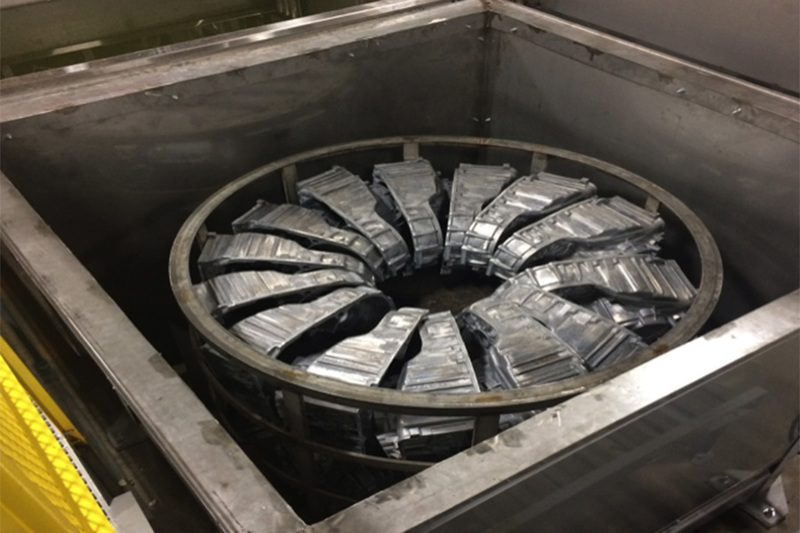 Our industrial centrifuges will spin large and heavy loads removing dragout and aid drying. They are provided in open top with or without covers and can be integrated into a fully automated Hoist line. Dryers for batch applications are also available with automated doors (electric or pneumatic) based on the specific application desired. In all IPT dryers the air in the dryer chamber is recirculated (usually from bottom or end returned sides), minimizing waste heat being exhausted by continuously reheating the air, greatly reducing energy costs. If you have a specific drying application for a new or existing system please contact us and let us provide an economical drying solution for your needs.